Scientists from Trinity College Dublin have identified a novel target that could help to identify 'cancer stem cells' while they are in their inactive state. The scientists could then jolt these cells into action so that they could be eliminated by radio or chemotherapeutic approaches. The team discovered that a specific protein (PCL1) kicks a famous cancer-associated protein (p53) into action in our bodies. The p53 protein suspends cells in a dormant, non-dividing state called 'quiescence'. When cells are in this state, they are much harder to target therapeutically. He said: "Often, treating a cancer patient with chemotherapy or radiation doesn't work out as planned. 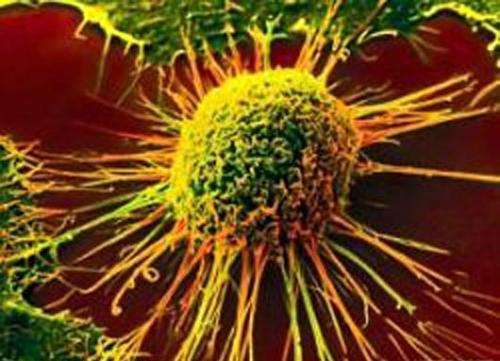 The tumour shrinks at first, but the cancer stem cells within can survive and eventually seed the growth of new, more aggressive cancers. When cancer stem cells are in this state of 'cellular quiescence', the treatments can really only be partially effective." The team's research encompasses multiple disciplines including cancer cell biology, computer-predictive chemistry and evolutionary genetics. The study's lead author, Dr Gerard Brien, demonstrated that PCL1 binds to – and boosts – the function of the p53 protein, and that this is required for p53 to activate cellular quiescence. Dr Elisa Fadda, in NUI Maynooth's Department of Chemistry, was then instrumental in pin-pointing the structural basis of how PCL1 and p53 interact. Then, with Professor Aoife McLysaght, also at Trinity's Smurfit Institute of Genetics, the team determined that minor differences in PCL1 compared to its sister proteins, PCL2 and PCL3, only emerged during the recent evolution of mammals. Dr Bracken added: "Our discovery that PCL1 has acquired a new function during the relatively recent evolution of mammals was very interesting, while the realisation that it teams up with the famous p53 protein represented an important breakthrough in the field of cancer biology." "We are now excited about using this new knowledge to develop a strategy to target cancer stem cells by knocking them out of their dormant state, thereby making them more amenable to standard chemotherapy and radiotherapy." The full title of the paper is: 'A chromatin-independent role of Polycomb-like 1 to stabilize p53 and promote cellular quiescence'.